I wanted to love this book, I really did. I am a huge fan of Cassie Clare. I love her style of writing and adore The Mortal Instruments. 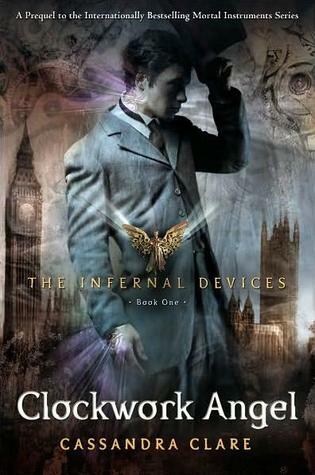 Clockwork Angel was a more juvenile, watered down version of TMI. The love story was barely there, and I didn't feel the tension like I do with Jace and Clary. I didn't enjoy the steampunk aspects of this book like I wanted to. The mechanisms and magic seemed a little hokey and again, juvenile. I liked hearing familiar names, and this alone will make me stay tuned. This is a tough book to review. It's my kind of story - Sci-Fi, but it fell short. I thought the premise was very interesting, and for this novel to totally work it needed to be longer and a little more gruesome to be an excellent YA. I needed more details (almost there), and a more drawn out storyline with more developed characters. I think this story works better as a juvenile fiction, but the premise is almost too gruesome for a younger crowd. Okay for middle school, but I don't see an elementary library picking this one up. It's almost in between, and needed to go one way or the other. Fast-paced, quick read. Voices were true to a teenagers - I was impressed. Only problem was, I hated the way her supposedly BFF Erin treated Lani after her relationship with Jason shifted. Seemed a bit extreme. I don't think a true best friend would be that harsh and downright cruel. Also, the recovery seemed too easy. Why would Lani be desperate for Erin's friendship after the way she was treated? Also, I was thinking that there would be "real" cheating. (cover art led me to believe there was some double-dipping) I think if Lani and Jason had a torrid affair while Jason was with Erin, that might explain some of the cruel backlash by Erin and classmates. Maybe I just wanted to there to be a torrid love affair full of lies. Hmmm. Still, cute read and would read Colasanti's others! Historical Fiction is not my strong suit. (I'm working on it!) I wanted to listen to this book because of the time period, the underlying story of magic, and because it was on a Lonestar list. Although the actor's voice was fantastic (so many different character voices), I struggled with the story. It was too lengthy for me and during the last two discs...I was ready to just get to the end. 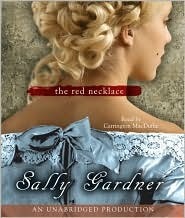 The story takes place in France and there was a lot of historical dates and places. I am sad to say I was confused.